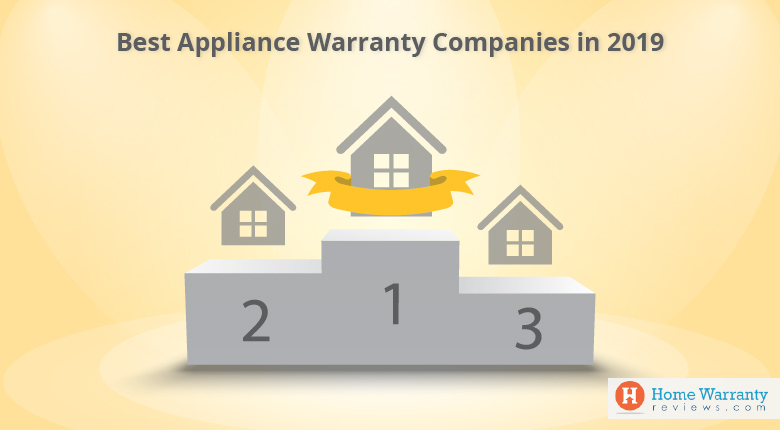 American Home Shield is one of the most widely acclaimed and also the biggest player in the home warranty industry. With over 40 years of experience in caring for its patrons, AHS home warranty has established itself as a leading home protection plan company. 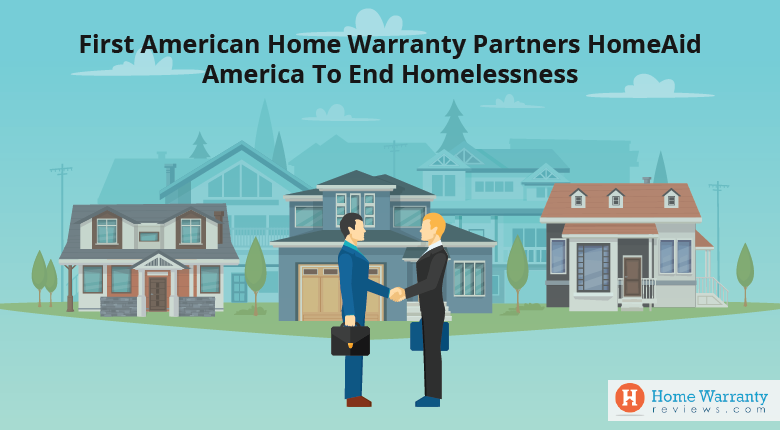 While the company is highly reputable, there have been cases where lawsuits were filed against the company and some of them have resulted in AHS home warranty agreeing for settlements. One such lawsuit against American Home Shield resulted in a settlement, even though the company did not admit any illegal behavior or liability in the settlement. Did AHS Really Violate RESPA Act? During the settlement of two lawsuits against AHS home warranty in which the company was accused of paying kickbacks to real estate brokers to promote their service plans, the company was allegedly trying to protect the brokers and agents from any legal responsibilities. On that subject, American Home Shield, the nation’s largest provider of home warranties, has stated that the payments they made to real estate brokers to market its products, did not violate the Real Estate Settlement Procedures Act, or RESPA. The company admitted to no wrongdoing but has currently agreed to pay up to $26 million to determine allegations that the payments violated RESPA. Home shield warranty or AHS put an optimistic spin on the settlement and released brokers and agents involved from any form of liability. This supported the company’s position as its current broker compensation program; ProConnect is in accordance with RESPA guidelines and regulations. About 500,000 homebuyers and sellers who procured warranties between May 27, 2008, and March 4, 2011, may be qualified to collect an average of $52 each under the terms of the settlement. Edleson v. American Home Shield filed a lawsuit in California Superior Court in San Diego in July 2007. The California court declined a proposed settlement of Edleson v. American Home Shield, which would have formed a review desk for homeowners to resubmit earlier denied claims. The court hearing the Edleson case expressed concern that AHS would have the right to re-adjudicate claims, and the consumers included in the settlement would be giving up “possible” and “realistic” rights in exchange for the hope that a defendant that has supposedly not acted on good faith” before”, would do so. After the proposed Edleson settlement was declined, American Home Shield reached a tentative settlement in Faught v. American Home Shield, which also called for a review desk for consumers to resubmit claims. The proposed Faught settlement was opposed by 24 homeowners and by the Texas Attorney General’s Office. The settlement was the outcome of a class-action lawsuit filed by Laura and Steven Faught against AHS in support of people in the US who procured or were issued a home service contract from AHS on July 24, 2001, throughout October 19, 2009. As part of the agreement, AHS decided to set up a review desk to reflect on claims from settlement class members whose claims were declined during the class period. The Faught lawsuit suspected that American Home Shield engaged in a pattern and practice of failing to accomplish its contractual responsibilities to its customers. This includes declining to provide repair and replacement services to which its customers were entitled and also inappropriately denying claims in the first year of a customer’s home service contracts for “lack of maintenance” (from the Notice of Class Action and Settlement; faughtclassaction.com). In spite of entering into a settlement, AHS has denied any misconduct or any legal responsibility. However, even this claim no of wrongdoing has not prevented a different lawsuit against them. This lawsuit also alleges that American Home Shield was unsuccessful in paying for its customers’ claims. In addition to this, the lawsuit alleges that AHS denies claims because of negligible uncleanness, even if external factors were the cause of the appliance’s breakdown. Plaintiffs allege that contractors were given an additional benefit for declining legal claims. The lawsuit claims a violation of the agreement and fake misrepresentation. Plaintiffs seek damages in excess of $75,000. 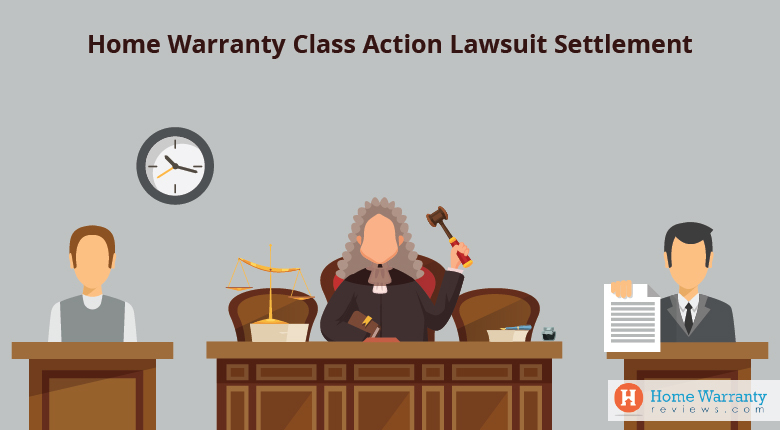 In the meantime, consumers of other home warranty companies have filed lawsuits of their own or may be looking into possible lawsuits, suspecting that their claims were denied improperly. 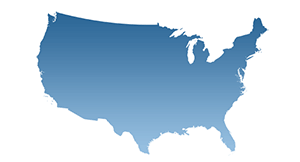 The 2008 Abney v. American Home Shield lawsuit alleged that the company violated the Real Estate Settlement Procedures Act through its compensation of real estate brokers with regard to the sale and marketing of home warranties. American Home Shield strongly denied the allegations made in the lawsuit and chose to resolve the suit due to the potential costs in defending the case. Details on the resolution of this case are available at www.abneyclassaction.com. According to D. Frank Davis, a lead attorney for consumers in both the Abney and Faught cases, the Faught settlements is more favorable to all the class members in a lot of important ways. 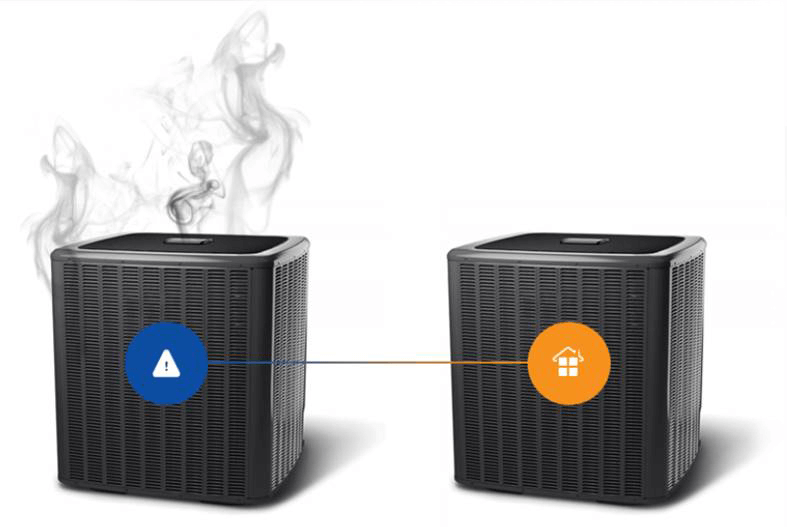 Under Faught, individuals whose rejected claim incurred in the first year of their contract and involved heating or air conditioning unit are likely to have their claim paid on reconsideration because of specific language in the settlement about the standards to be used by the review desk. All the other claims resubmitted are also likely to be paid this time because of the negotiated penalty provisions. I was rejected service due to non maintenance. After service since 2000 and 5 yrs of service calls due to ac problems, I was finally told that my ac would not be covered due to lack of maintenance. I wondered why these problems were never related to me. Had water damage under my house A.H.S. first company that was assigned to come out was a no call no show. Second assigned plumber didn't have a plumbing license per Texas Law. He refused to take the service fee because it was in cash. He wanted me to give him my Checking Account or Credit Card. Who does not take cash? I paid $75.00 to American Homeshield since they refused to honor their service contract till this was paid.After paying this amount American Homeshield refused to send another company out. So I cancel my contract with A.H.S. Beware of this company Service Providers are not Licensed. I planning on filing a complaint with the AG. Office. California has banned American Homeshield for Shady practices, Texas and Oklahoma needs to do the same. I would be interested in joining a class action lawsuit. AHS has been putting me off for 4 months. Our range went out in 1/2016 and they say they're still waiting for the part. I am seeking to join in on a class action lawsuit against AHS. It is more of the same kind of issues that everyone has already stated above. I have gone for 3 weeks with a malfunctioning air conditioner in the heat of the summer in Florida and it's still not fixed. I am looking to file a class action lawsuit against AHS for their poor response time, poor customer service practices, and inability to resolve issues within a reasonable time period. Last year it took us 2 months to get our stove replaced after it went out. We are almost 3 weeks in, 3 service calls, and ridiculous amounts of calls/hold time, only to still not have a working refrigerator. If you are interested, please contact me at: [email protected] I am just starting today, so please give me time to find a reputable attorney who will take the case. First my hot water went out I turn the bill into A H S they wouldn't pay then the last of May 2015 I call to get my A/C look at the guy that A H S sent here said one thing on the A/C ticket the he told AHS that ants ate the fan motor so I call AHS again and ask for another service person to come and look at it. They couldn't or wouldn't find any service person so I asked if I could find one I did fax what he found what was wrong .now it in July he fix it and I had been talking to AHS all this time and now they won't pay for it they took money the first of June and again the last of June out of my checking account BUT THEY WON'T PAY FOR THE REPAIR. I have had many claims denied. ~I have had the same problem with my AC unit four years in a row. The repair men would come out, add coolant, which is not covered by AHS, at 50.00 dollars a pound would cost 300 to 400 dollars per trip. The unit would operate through the summer. The next year the same problem would exist. Since the units are not used during winter months there would be no way to know if they were leaking. Next summer the the same problem would exist. When I called AHS the new service call was not covered because the previous work was out of warranty. Go figure. They never did fix the problem. Called AHS and a local repair company was dispatched quickly. The Whirlpool Clothes Washer needs parts. I've been waiting for 3 weeks. Calls to AHS (and the contractor) claim to be waiting for the parts. This is one of the most common machines made. I had good service in the past for other items but we are getting the run-around now. And they just called to see if we wanted to extend our contract. I'll talk to their marketing manager then.